It’s Friday. It’s your last shot to clear off your to-do list so it won’t dog you through the weekend. 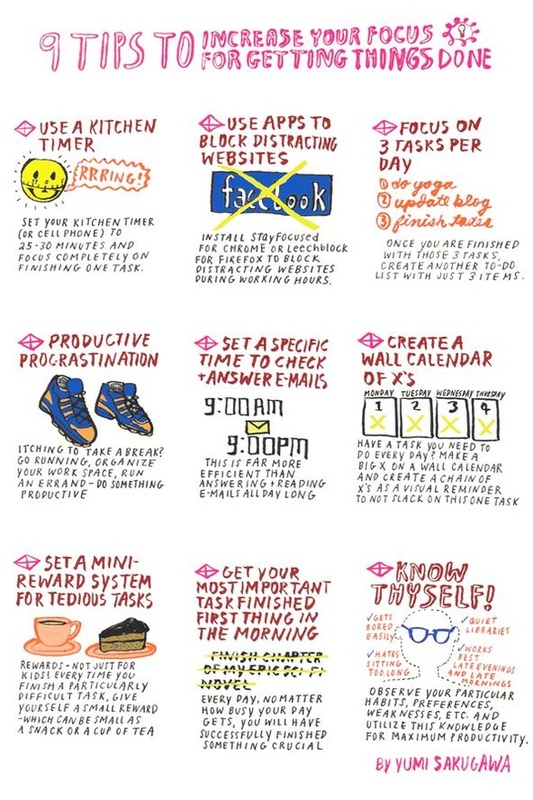 And our friends over at personal-assistants-for-all startup Fancy Hands (which we tried out last year, profiled in March, and which comes with a personal recommendation from Redditor-in-chief Alexis Ohanian himself), want to remind you that YOU CAN DO IT, with this pretty, pastel productivity infographic by Yumi Sakugawa. Our favorite tip? Create a giant wall calendar of Xs for tasks you need to do every day–an idea we first heard from Jerry Seinfeld. Check it out below, and then head over to Fancy Hands’ Tumblr for more inspiration.